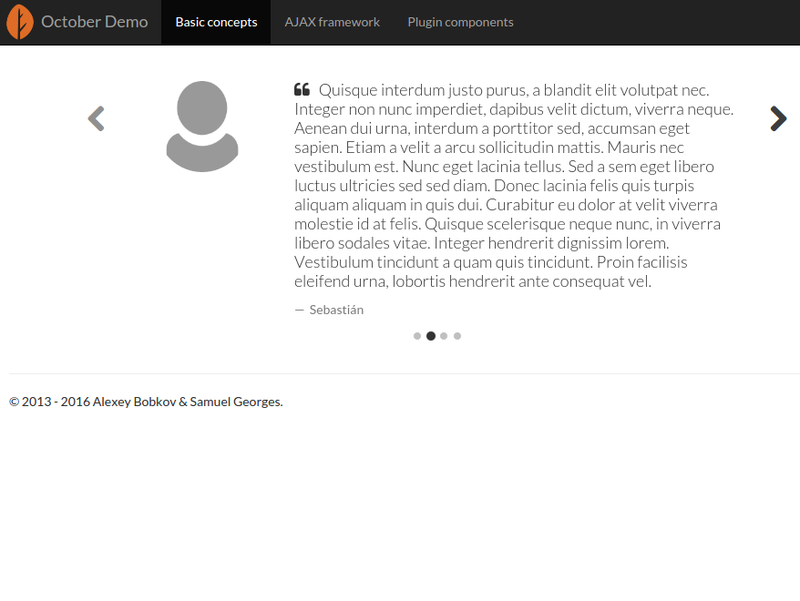 Draws a Quotes Carousel using Bootstrap 3 on your page. 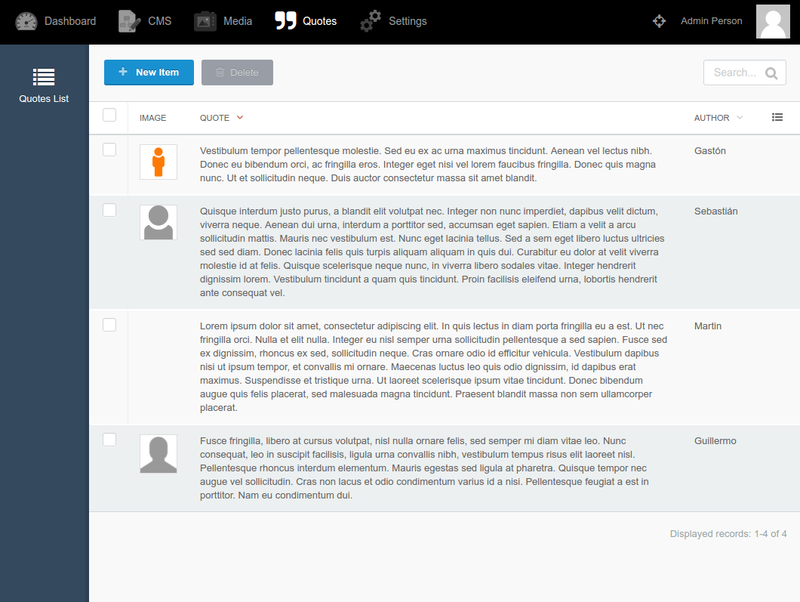 On Backend, goto Quotes menu. You can customize the interval timeout and mouse over to pause. 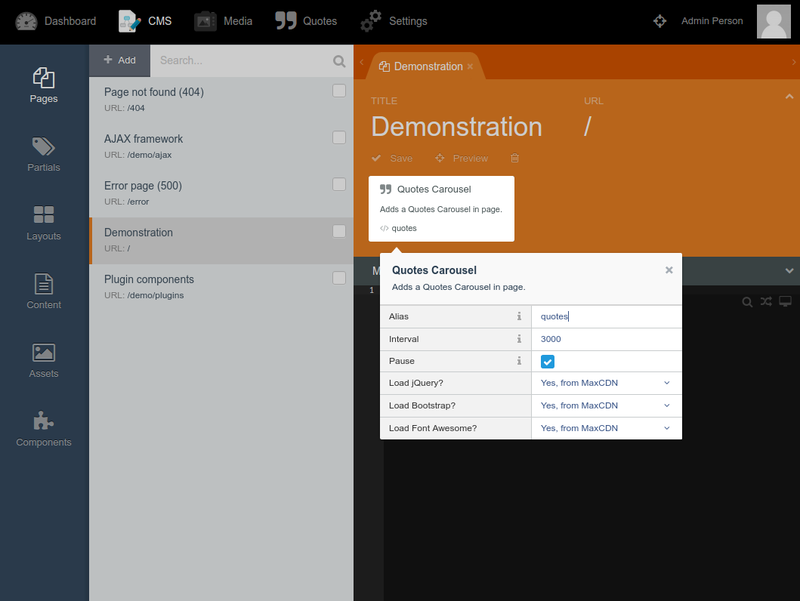 jQuery, Bootstrap and FontAwesome are loaded by default from CDN. 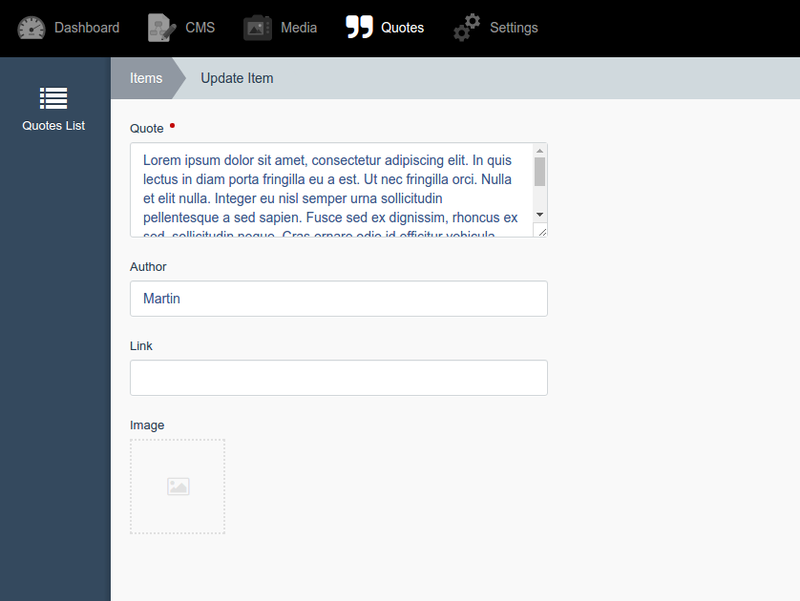 You can disable this feature if components are already loaded on your theme.